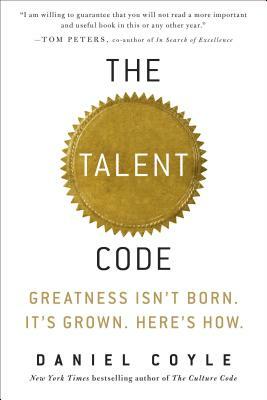 What is the secret of talent? How do we unlock it? This groundbreaking work provides readers with tools they can use to maximize potential in themselves and others. I only wish I’d never before used the words ‘breakthrough’ or ‘breathtaking’ or ‘magisterial’ or ‘stunning achievement’ or ‘your world will never be the same after you read this book.’ Then I could be using them for the first and only time as I describe my reaction to Daniel Coyle’s The Talent Code. I am even willing to guarantee that you will not read a more important and useful book in 2009, or any other year. And if all that’s not enough, it’s also a helluva good read.” —Tom Peters, coauthor of In Search of Excellence and author of Re-imagine!